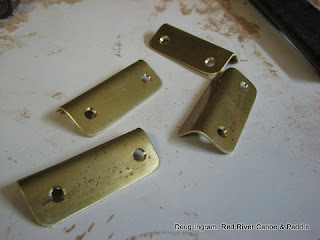 The tips of the gunnels take a lot of wear and tear, so I put these brass gunnel tip protectors on. 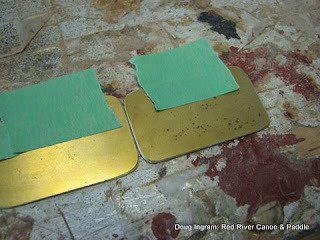 I start by cutting the brass plate to the correct dimension, round the corners, the clean up the edges. Then a bend needs to be made, and the screw holes drilled. 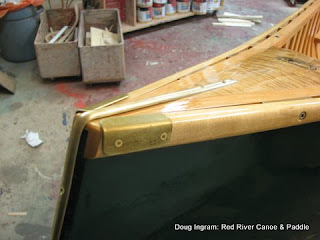 ...and this is how the look on the canoe. Posted by Doug Ingram at 9:35 a.m.